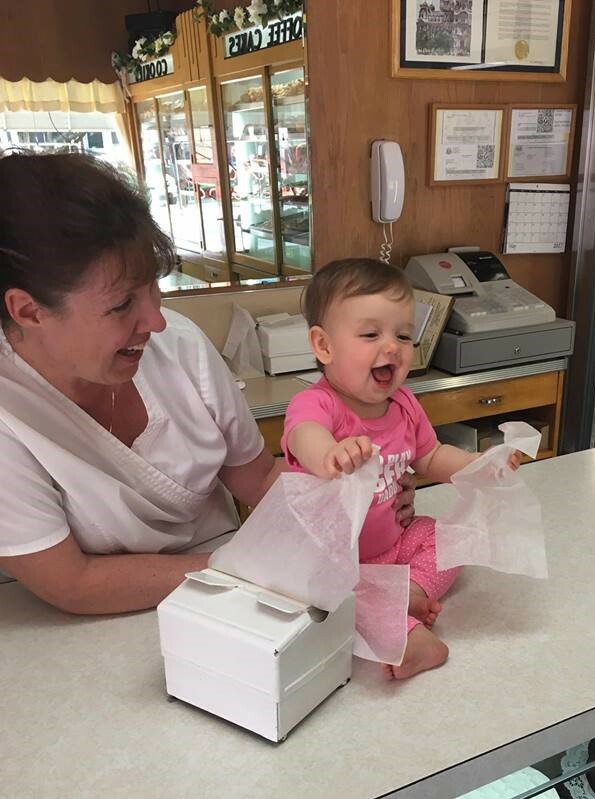 As the bakery turned 87 this July, the extended Haegele family celebrated another milestone birthday. 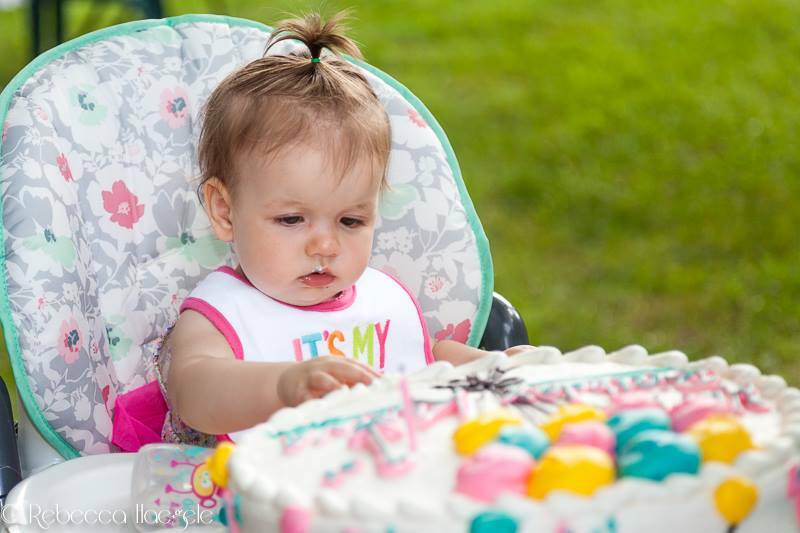 Little Karina Rose pictured above, celebrated her 1st birthday with her first taste of cake. Ah yes, vanilla layer smothered with Haegele's buttercream frosting. Oh what joy life can bring, especially when a fork is not required. Last year when we celebrated the bakery's 86th with Birthday Cake & Bob Kelly from Fox29, Karina hadn't graced the world with her smile yet. She was yet a bump within mom's belly. Bob referred to her as "the bun in the oven". When she was born, he actually put her picture up on the big screen as he was doing the morning traffic report live in the studio. From the very beginning, the world has been her stage and she is indeed a captivating star! Every moment she smiles...is priceless and proof positive that the best things are worth waiting for! By geneology, Karina is actually our cousin twice removed but she'll call us "Uncle & Aunt". Perhaps the greatest realization is that she is the great-great-granddaughter to Mrs. Haegele (1st generation). As I watched Karina eat her cake with a crowd of forty on-lookers, I couldn't help but think how her great-great grandmother lived for days and moments like this. Family...it's all about the togetherness of family. And there's nothing like a smile that melts your heart and a first birthday celebration that brings a family together!